guide and review future ideas. Steering group members connect widely across the Portsmouth food sector, helping make things happen and identify ways to tackle food-related problems like obesity or food waste. 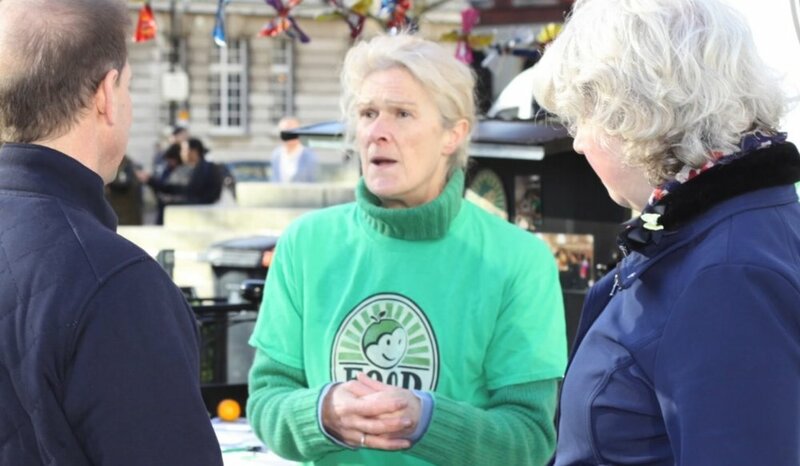 Food Portsmouth members range from individuals passionate about making good food available to all, to large organisations based in the City wanting to commit to making good food a priority. Take a look at our current projects map to explore what’s already happening around Portsmouth. We are always open to ideas and suggestions so feel free to get in touch! Membership is open to any individual or organisation supporting the network’s aims. We ask members to make a pledge to take at least one new action in the next year - something relevant to your own activity that is sympathetic to at least one of the actions listed in one of the four subgroups: Food and Health Inequalities, Green and Urban Spaces for Food, Food Industries and Business, Food Research and Funding. The group focuses on taking the lead to grow the network, and in making safe, nutritious, sustainable, and tasty food available to everyone. Portsmouth City Council, Public Health Portsmouth, University of Portsmouth, University of Portsmouth Students Union, Portsmouth Together, Pompey in the Community, John Pounds Centre, Portsmouth Food Bank Network, Somerstown Adventure Playground, Southsea Greenhouse, Portsmouth Tree Wardens, Wimbledon Park Patch, Stacey Centre Community Orchard, Portsmouth Climate Action Network, Portsmouth Friends of the Earth, Plus many independent food businesses and individuals! Want to join a subgroup and get involved in the actions? Then drop us an email to tell us what you’re doing / would like to do. So what are you waiting for? Many people already support our goal to achieve good food for all in Portsmouth. Every one of them gives us a louder voice. By joining us, you’ll also get a say in what we do next!